Follow the steps below to reset the ink levels in the printer Canon PIXMA MP240 are simple steps and you can keep printing smoothly. 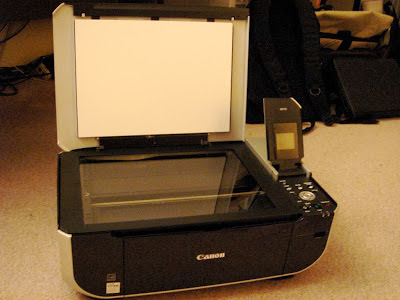 Canon PIXMA MP240 printers like many printers of the same type and series, when the cartridge reaches the number of pages that can be printed from the factory, a message that the cartridges are empty and we can not continue printing at the moment appears to us. For this we can not worry about, or at least not much, as it is normal and actually a bit difficult when it first appears, especially if we urged an ink system or just refilled cartridges. The Canon use this setting to get their consumers buy cartridges new and do not refill, remember this refill the cartridges does not damage the cartridge. Even if we read the error, see that it is only an authorization that the manufacturer is asking to continue printing with low ink, the message that appears possibly say - if you want to continue printing, press the stop / reset button for seconds - and it is just what we should do. It is necessary that the printer is on and try to print, you can just remove the error when it appears on the printer screen, preventing the last work that we have sent out, then restore the page will appear, but may take a little time. You should know that this does not return the full ink level, estimates can only be reset if you change the cartridge with a new one, will not improve the print quality. If you have any questions or explanation, do not hesitate a moment to write a comment, gladly be answered, you should at least mention the operating system and model of your printer.